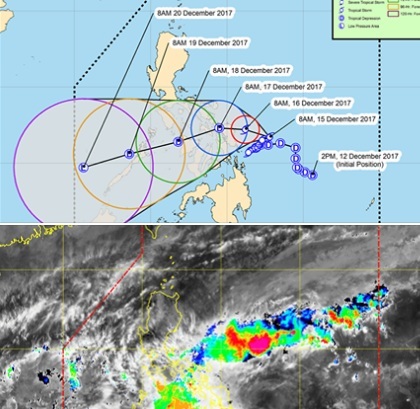 Due to sudden floods and landslides caused by the tropical depression of “Urduja”, about 900 people were evacuated in the eastern province of East Misamis, the Philippines province of Mindanao. The municipality of Lagonglong was hit hardest by heavy rains, where floods destroyed five houses. In the municipality of Balingasag, a landslide buried one house. As expected, the tropical cyclone will collapse on Saturday or Sunday on the Philippine island of Samar. Because of the tropical cyclone “Urduja”, the greatest risk of flooding is from southern Luzon to northern Mindoro. Expected 150-300 mm of precipitation, in some places – 450 mm of precipitation. Previous story The fires in California are caused by laser hits from the sky?